In accordance with Tell City Ordinance 1003, an impound fee of $35.00 shall be paid in full to effect the release of an impounded vehicle. 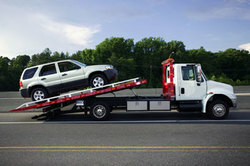 This fee applies to all vehicles towed by order of the Tell City Police Department for criminal or traffic violations. The fee must be paid at the Tell City Police Department before the impounded vehicle can be released.